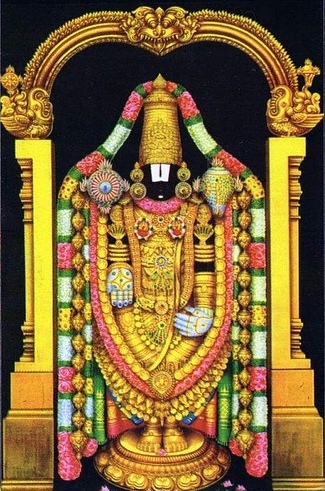 What does Adhika Masa Brahmotsavam mean in Tirumala? "Adhika Masam" means "an Extra Month". The "Adhika Masam" is also known as "Purushottama Maasa" because of its religious significance. The 'Adhika Masam' is dedicated to Lord Krishna. This year 2018, Adhika "Jyestha" Masam occurs twice as per Lunar calendar 2018. 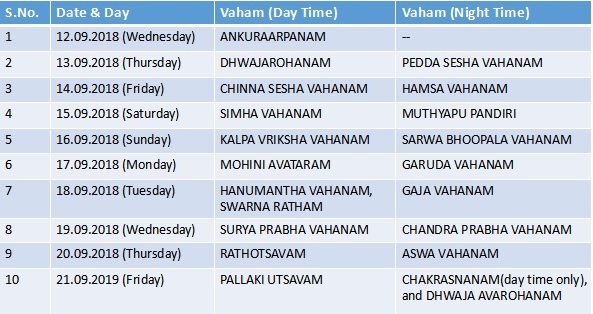 The Adhika "Jyestha" Masam began on May 16, 2018(Wedesday) and ended on June 13, 2018(Wednesday). It is an ongoing tradition to conduct two brahmotsavms in Tirumala Temple when an 'Adhika Masam' occurs in a year as per Lunar Calendar. The Adhika Masam Brahmotsavams are also known as 'Salakatla Brahmotsavams' in Tirumala Temple. It is being celebrated in the month of 'Bhadrapada'(August/September) always once in every 3 years. But in normal due course only one annual brahmotsavam is being celebrated to the Lord Sri Venkateswara Swamy in the month of 'Aswayuja' (September/October). The annual brahmotsavams are called as 'Navaratri Brahmotsavams'. It is a great and most important festival in Tirumala Temple. During the period of brahmotsavams, the Lord rides on various Vahanas along four temple streets and the Almighty blesses ALL. Devotees shall have a delightful God's Heaven atmosphere in Tirumala during brahmotsavams time in this year 2018.